Hikers climbing the "Shark Tooth" of Mt Taranaki. 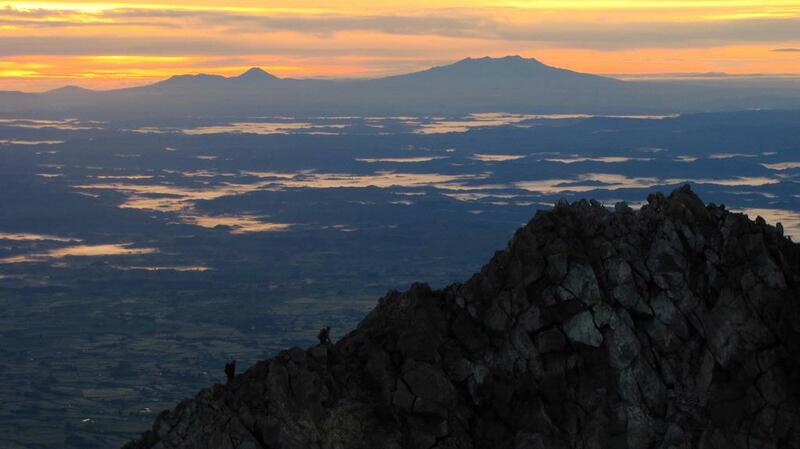 The central North Island Volcanoes are visible in the distance. 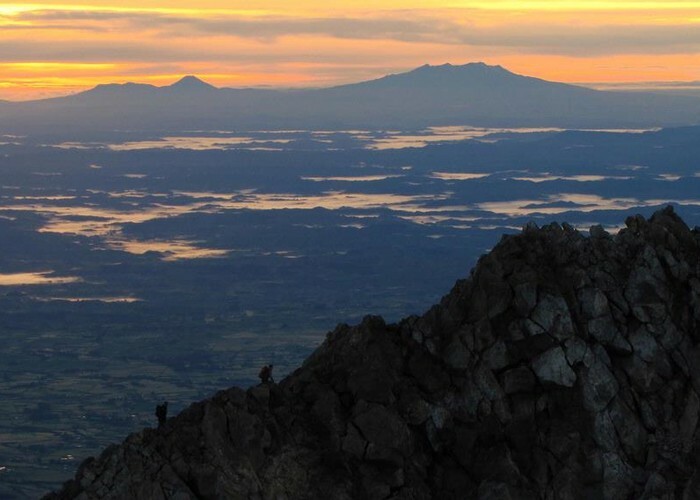 Viewed from the summit of Mt Taranaki. Added 1 May 2012 by bluepolarisbluepolaris. 4 revisions, most recently 13 June 2012 by bluepolarisbluepolaris.